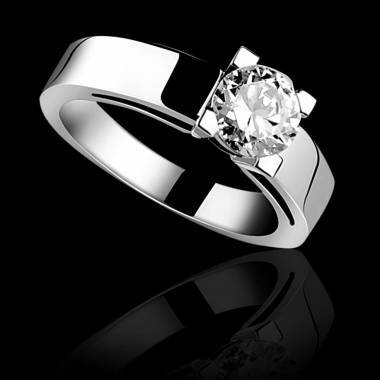 Traditionally, men gift a solitaire engagement ring as a declaration of their love and symbol of their promised everlasting love to their beloved. 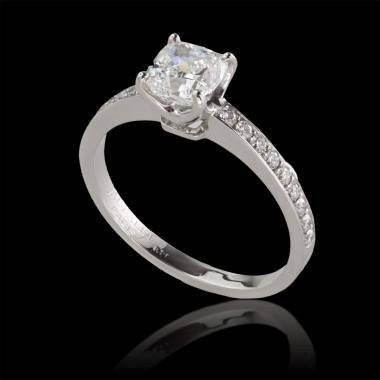 Engagement rings are to be worn from the proposal onwards, and to be complemented by a wedding band from the day you say “I do”. 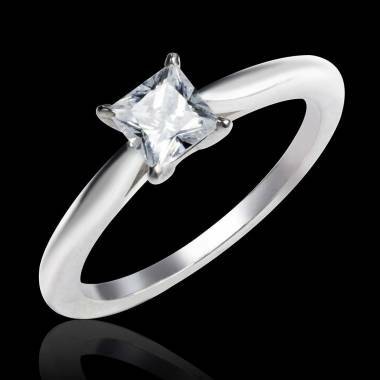 Engagement rings usually consist of a band which can be made of platinum, white gold, yellow gold or rose gold, and are ornamented by a single diamond set at the centre. 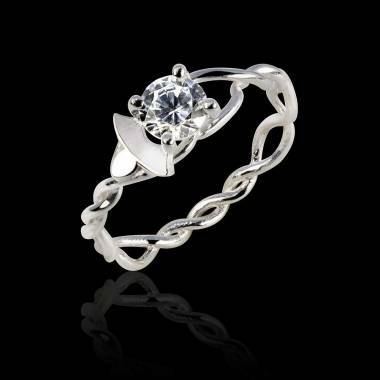 The word diamond comes from the Greek “adamas” which means indestructible, and is unsurprisingly known to be the hardest precious gemstone. In fact, diamond engagement rings date back to 1477 when the Archduke Maximilian of Hapsburg gifted Marie of Burgundy a ring set with a diamond, for its reputation of being an extremely hard gemstone. 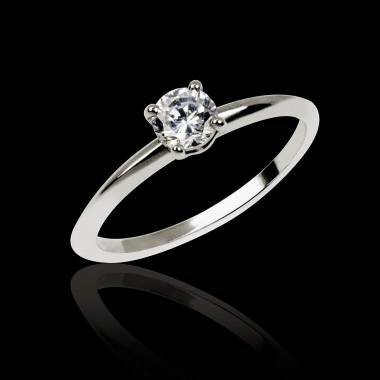 Since then, diamonds have been a symbol of strong, pure and eternal love, making it the perfect engagement ring when you are looking to turn a promise into a commitment. 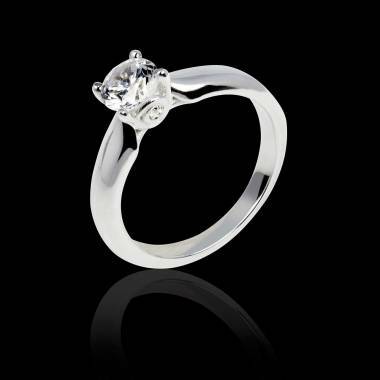 Although the most traditional and popular choice of gemstone for engagement rings due to their timelessness and durability, there are many things to take into account when choosing a diamond. 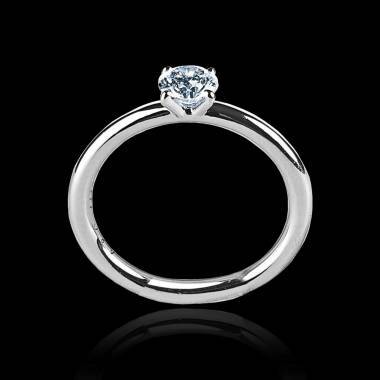 You should always consider the 4 C’s, which stand for carat, colour, cut and clarity of the diamond as well as making sure it is independently certified, as these are likely to determine its price and quality. 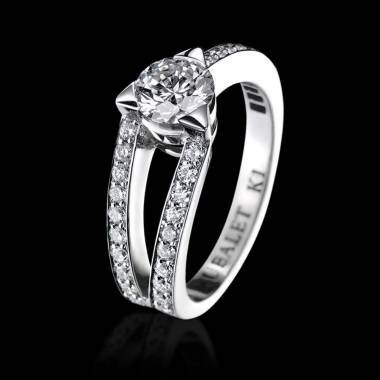 Engagement rings are one of the most important investments you will have to make. 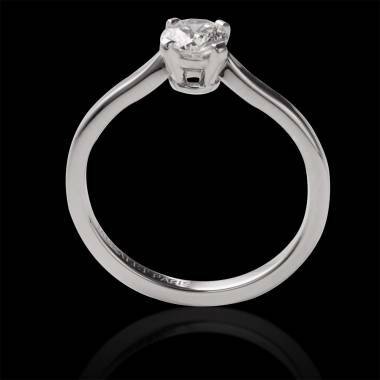 What better way to choose the perfect ring than creating a bespoke diamond engagement ring? 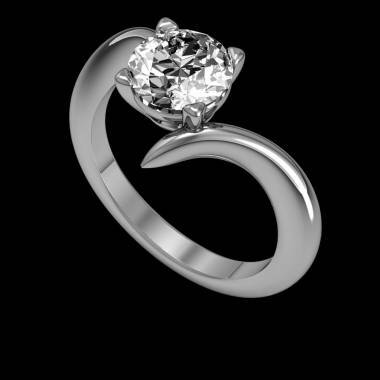 Choose from our selection of diamonds, styles and metals to design a personal, unique and stunning engagement ring for your loved one by choosing the metal, paving and central stone. 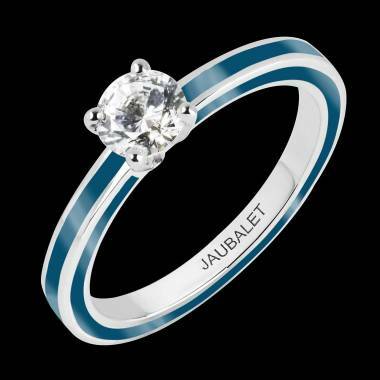 Be sure to find the perfect diamond engagement ring with Jaubalet. 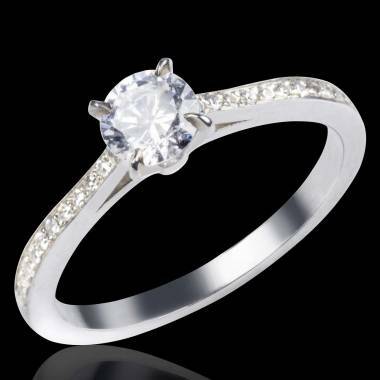 Although still the most popular gemstone to represent a promise of marriage, white diamonds also exist in an array of different colours. The earth gifts us with diamonds of almost every colour including black, brown, pink and yellow to name only a few. 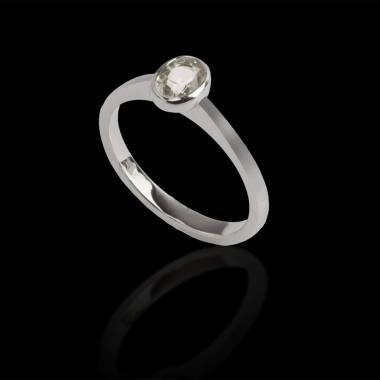 Make sure to browse our range of precious gemstones, and learn more about coloured diamonds. 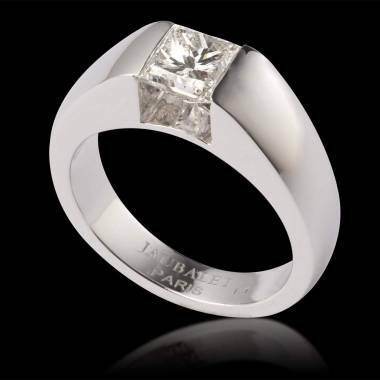 Maison Jaubalet offers a wide range of diamond engagement rings in addition to the traditional solitaires which you can discover and order online.